Our goal is truly pure sound. With unwavering dedication to our basic concepts, our constantly evolving technical innovation is wrapped up in eye-catching new forms like the D1000MK2 Disc Player. Welcome to your gateway to pure, high-resolution sound. BRING THE TRUE BEAUTY OF MUSIC TO LIFE. This model embodies the philosophy and technical standards behind TAD’s dedication to conveying all the passion contained within music. Testifying to this is the latest development derived from our top-end, highly praised TAD-D600 disc player: the Ultra-High C/N*1 Master Clock UPCG*2. 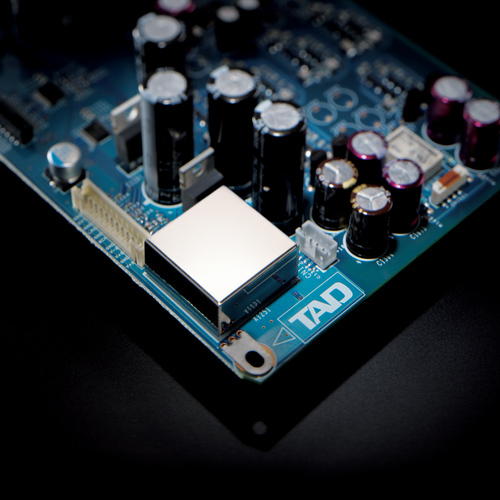 To ensure precise reproduction with no tonal changes, TAD focused on minimizing low frequency distortion caused by noise from the clock itself occupying the same spectral region. Designed to achieve a pure low-noise signal approaching the upper limits of audibility, our highly innovative master clock is featured in this model. To convey all the emotion and passion of the original source, reproduction must be precise and pure. 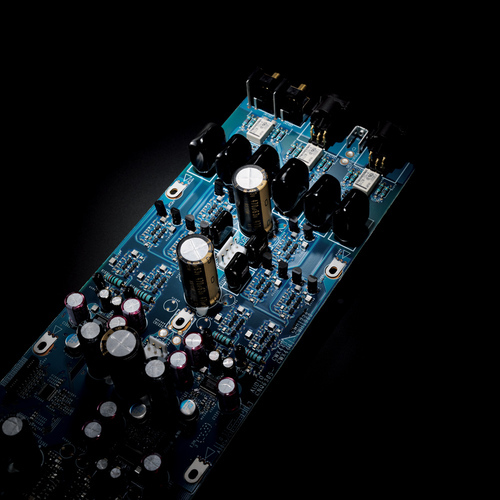 A natural consequence of TAD’s relentless pursuit of this audio philosophy, the Ultra-High C/N Master Clock UPCG is combined with high-quality, parallel connected, dual differential independent D/A converter ICs for both the left and right channels. To reduce residual noise, even at high sample-rates, a discrete I/V conversion circuit is utilized. D/A conversion with virtually flawless accuracy is now a reality. All internal parts and circuits are designed and constructed with care and precision. From the careful alignment between the theory and practice behind our selection, and use of component parts subjected to an uncompromising reiterative testing and auditioning process, this is the very essence and DNA of all TAD audio equipment. 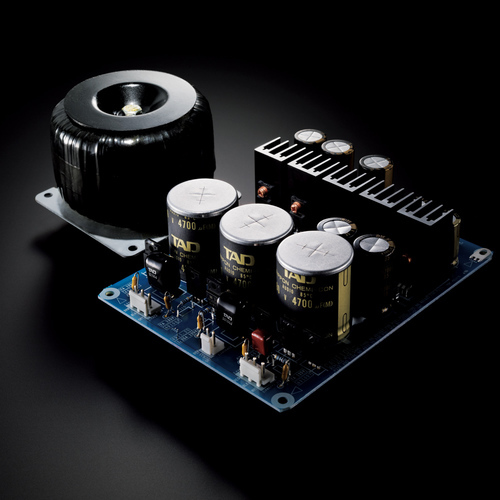 For example, utilizing high output toroidal power transformers in dedicated independent power supplies for analog and digital circuits eliminates potential mutual interference, and easily handles the power and speed demands of high resolution sound reproduction. 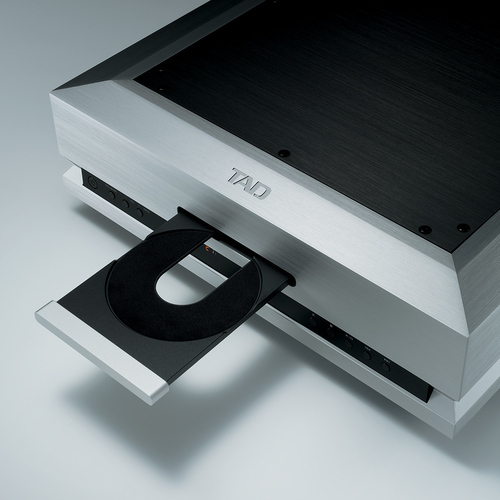 Based on the concepts, designs and techniques behind TAD disc players in a stylish new form, the TAD-D1000MK2 is our next generation SACD/CD player. With a machined aluminum disc tray and low-noise brushless DC servo motor firmly mounted in an 8mm-thick aluminum chassis, TAD has succeeded in our constant efforts to eliminate external vibration from our high definition mechanisms, guaranteeing stable high quality playback. The high quality of its playback is made possible through a newly developed insulator utilizing a spike structure to enhance isolation. 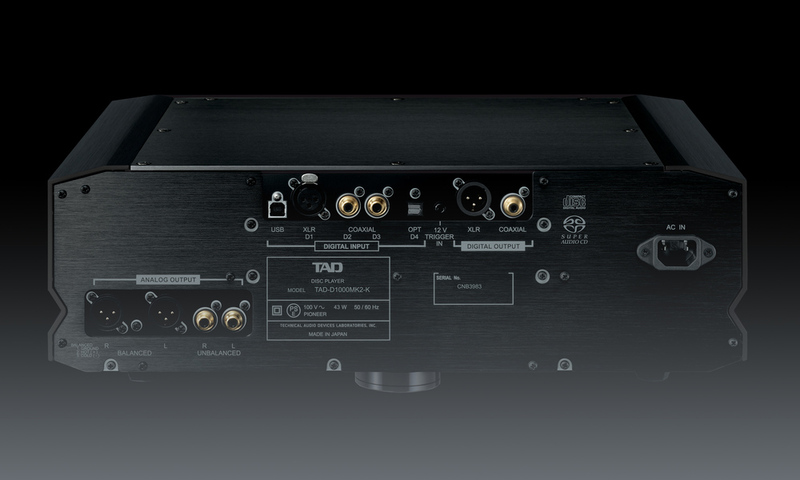 Additionally, with a range of inputs complete with USB and digital, you can also enjoy it as a high-performance DAC. With the volume function, you can also experience TAD sound even on a simple system without using a preamplifier. We've also included one of our latest developments, the Asynchronous USB Communication Engine. Playback via USB input is capable of handling PCM audio data up to 384kHz/ 32 bits, and DSD audio data up to 5.6MHz*. TAD is now equipped to handle the very best high resolution audio formats to bring you closer than ever to the original musical performance. DSD can transfer with DoP method. MAC PC: after OS10.7, and AUDIRVANA PLUS. WINDOWS PC: Windows Vista, 7, 8 and JRiver Media Center. Additional Information of TAD-D1000/DA1000 USB transfer.